The Finnish Innovation Fund Sitra, in co-operation with its partners, is determined to elevate the circular economy to another level at the forthcoming World Circular Economy Forum 2019, on 3-5 June in Helsinki, Finland. The forum’s goal is to move the global circular economy into the next era, reflecting Nordic values such as social equality and preservation of the environment to make the circular economy fairer and more inclusive and to benefit both rich and poor. Sitra has announced the dates for the third World Circular Economy Forum after a successful WCEF2018 in Yokohama last October, where Finland and Japan committed to advancing the circular economy as part of their respective presidencies of the EU and G20. 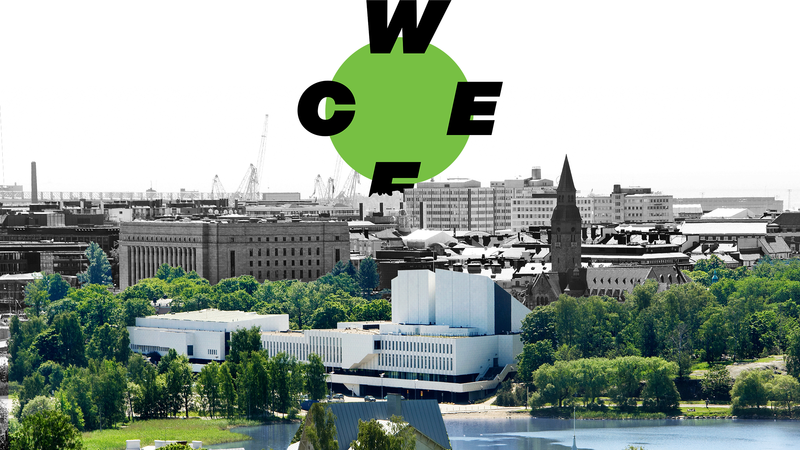 The WCEF2019 will be held in the Finnish capital on 3-5 June. The event anticipates Finland’s impending Presidency of the Council of the European Union (July to December 2019). The landmark event of the year will have a strong emphasis on the next era of the circular economy and scaling up the transition. Circular economy topics that will be addressed include creating an enabling business environment, mobilization of financing, education, the international trade in circular goods and services. The WCEF2019 is proud to present as speakers some of the world’s top business leaders, policymakers and researchers. They include the Chief Executive Officer of the World Bank, Kristalina Georgieva, Chairman of the Carlsberg Foundation, Flemming Besenbacher, Executive Director of Closed Loop Partners, Kate Daly, Partner of Circularity Capital, Jamie Butterworth, Executive Director of the European Environment Agency, Hans Bruyninckx and Director of Sitra, Mari Pantsar. The forum will bring together around 2,000 circular economy influencers from around the world to share best practices and accelerate the transition to a global circular economy. The WCEF’s co-organisers include the World Bank, UN Environment, the European Investment Bank, Nordic Innovation and the European Environment Agency. The World Circular Economy Forum will examine how businesses can seize new opportunities and gain a competitive advantage with circular economy solutions, and how the circular economy contributes to achieving the UN Sustainable Development Goals. The Finnish Innovation Fund Sitra is organising the WCEF2019 together with the European Commission, the European Environment Agency, the European Investment Bank, Ministry of Agriculture and Forestry of Finland, Ministry of Economic Affairs and Employment of Finland, Ministry of the Environment, Ministry for Foreign Affairs of Finland, Nordic Innovation, UN Environment and the World Bank. The first World Circular Economy Forum was organised in Helsinki, Finland in 2017 and brought together 1,600 participants from nearly 100 countries. In October 2018 the Finnish Innovation Fund Sitra and the Ministry of the Environment of Japan co-hosted the event in Yokohama, Japan. In 2020, the World Circular Economy Forum will be held in Canada. The WCEF examines how businesses can seize new opportunities and gain a competitive advantage through circular economy solutions, and how the circular economy contributes to achieving the UN Sustainable Development Goals. The circular economy is the new paradigm for business, which aims for economic growth through new sustainable business models. The circular economy could generate 4.5 trillion US dollars’ worth of additional economic output by 2030, according to new Accenture (NYSE: ACN) research that identifies circular business models that will help decouple economic growth from natural resource consumption while driving greater competitiveness. The Finnish Innovation Fund Sitra was named the number one public-sector circular economy accelerator in the world when Sitra won the public-sector category of the Circulars Awards 2018 for its pioneering work to accelerate the world’s transition to a circular economy: sitra.fi/en/news/sitra-honoured-leading-driver-circular-economy-can-world-learn-finland/. Read more at www.wcef2019.com and take part in the conversation online on Twitter, Facebook and Instagram @SitraFund and with hashtag #WCEF2019. The WCEF’s sessions will be streamed live at www.wcef2019.com. More information about digital participation will be available on the website nearer to the event.